THE IMMIGRANTS. Howard Greenberg Gallery, New York. From THE IMMIGRANTS exhibtion. Last D.P. 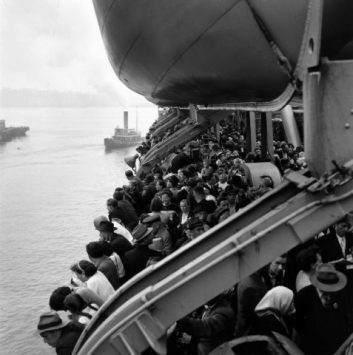 Boat, Ellis Island 1951. ERNST HAAS. International Photography Hall of Fame and Museum, St. Louis, Missouri. Ernst Haas is inducted into IPHF in October. ERNST HAAS: COLOR PROOF. Les Douches la Galerie, Paris. ERNST HAAS: THE CREATION. Photolux, Lucca, Italy. RECONSTRUCTING LONDON: VISIONS OF THE CITY AFTER WORLD WAR I. Atlas Gallery, London. 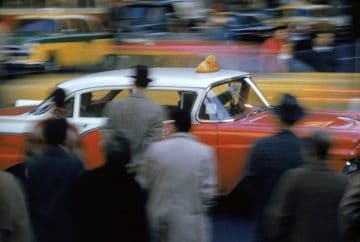 ERNST HAAS: CLASSICS. Duncan Miller Gallery, Bergamot Station, Santa Monica, CA. ERNST HAAS: COLOR CORRECTION. Christopher Guye Gallery, Zurich, Switzerland. THE CREATION. Portland Museum of Art. THE CREATION. Weston Gallery, Carmel, CA. ERNST HAAS. Galerie Basia Embirico, Paris. COLOR CORRECTION. Atlas Gallery, London. ERNST HAAS: A PHOTOGRAPHIC RETROSPECTIVE: POST WAR VIENNA 1945–1948. Museum der Moderne Salzburg. COLOR CORRECTION. Arles photo festival. FORCE OF NATURE. Danese/Corey Gallery, New York. 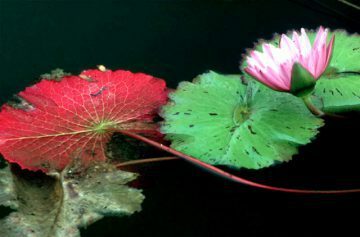 ERNST HAAS: COLOR CORRECTION. New York Photo Festival. ERNST HAAS: HOLLYWOOD. Farmani Gallery. ERNST HAAS: TOTAL VISION. Atlas Gallery, London. ERNST HAAS REFLECTIONS. Maison Des Arts. ERNST HAAS: A RE-CREATION PART 1 AND PART 2. Bruce Silverstein Gallery, New York. ERNST HAAS EINE WELT IN TRUMMERN – A WORLD IN RUINS. Museum Der Moderne Salzburg Rupetinum. ERNST HAAS: COLOR AND BLACK AND WHITE. Ann Shanks Photography Gallery, Sheffield, MA. 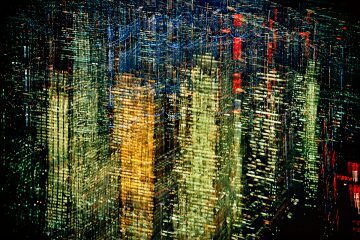 ERNST HAAS : NEW YORK. Soho Triad Fine Arts, New York. CONTOUR AND COLOUR: ERNST HAAS AN EXHIBITION OF COLOUR PHOTOGRAPHY. Connoly’s, London. U.K. ONLY TIME WILL TELL. Michael Hoppen Photography, London. ERNST HAAS (1921–1986) PHOTOGRAPHIEN. Neue Galerie der Stadt Linz, Austria. ERNST HAAS IN BLACK AND WHITE. Kathleen Ewing Gallery, Washington, D.C.
ERNST HAAS IN BLACK AND WHITE. Etherton Gallery, Tucson, AZ. REDISCOVERY OF A NEW VISION. A.O.I. Gallery, Santa Fe, NM. UNPUBLISHED BLACK AND WHITE IMAGES. A.O.I. Gallery, Santa Fe, NM. ERNST HAAS IN BLACK AND WHITE. The Camera Obscura Gallery, Denver, CO.
ERNST HAAS IN BLACK AND WHITE. International Center of Photography, Midtown. AMERICAN PHOTOGRAPHS 1950–1975. Howard Greenberg Gallery, New York. ERNST HAAS. Gothenborg, Sweden. Rshsska Konstslsjdmuseet. TO SEE, TO BE. Rochester Institute of Technology. ERNST HAAS PHOTOGRAPHS. Larry Kauffman Galleries, Houston. ERNST HAAS. Silver Visions Gallery, Newton Upper Falls, MA. 1921 ERNST HAAS 1986. Museum des 20, Jahrhunderts, Vienna. ERNST HAAS. Western States Museum of Photography, Santa Barbara, CA. ERNST HAAS. St. Louis Botanical Garden. ERNST HAAS: HEIMKEHRER (Returning Soldiers). Galerie Fotohof, Salzburg. THE CREATION. Elayne Art Gallery, Minneapolis, MN. THE CREATION AND OTHER DYES. Space Gallery, New York. ERNST HAAS. La Fotogalería, Madrid. ERNST HAAS. Space Gallery, New York. ERNST HAAS: AN AMERICAN EXPERIENCE. International Center of Photography, and Port Washington Public Library, New York. 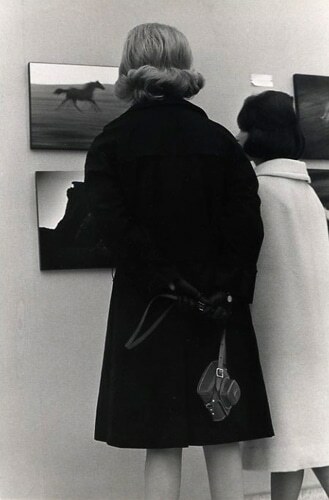 ERNST HAAS: AN AMERICAN EXPERIENCE, ICP gala opening, 1976. 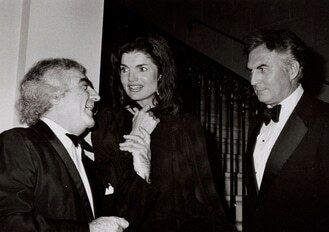 Cornell Capa, Jackie Kennedy Onassis, and Ernst Haas. ERNST HAAS: POSTWAR PHOTOGRAPHS 1945–1949. Austrian Institute, New York. ERNST HAAS: DIE SCHOPFUNG (The Creation). Photomuseum im Munchner Stadimuseum, Munich. ERNST HAAS: HEIMKEHRER (Returning Soldiers). Landesgalerie im Schloss Esterhazy, Eisenstadt. ERNST HAAS: DIE SCHOPFUNG (The Creation). Sterreichisches Museum fär Angewandte Kunst, Vienna. THE CREATION. Kodak Gallery, London. ERNST HAASÑNACHKRIEG (After the War). Museum des 20. Jahrhunderts; Kulturhaus, Kulturamt der Stadt Graz, Vienna and Graz. ERNST HAAS: DIE SCHOPFUNG (The Creation). Photokina, Cologne. THE CREATION. Rizzoli Gallery, New York. ANGKOR AND BALl: TWO WORLDS OF ERNST HAAS. Asia House Gallery, New York. Under the auspices of The American Federation of Arts traveled to Grand Valley State College, Allingdale, MI; Royal Ontario Museum, Toronto; Stephens College, Columbia, MO; University of Manitoba, Canada; Kent Boysõ School, Kent, CT; University of Arkansas, Fayetteville. THE ART OF SEEING. An exhibition organized by Kodak that traveled to Mexico, England, France, Germany, Austria, Spain, Holland, Belgium, Finland, Southeast Asia, Japan, and Brazil. ERNST HAAS/COLOR PHOTOGRAPHY. Steinberg Hall, Washington University, St. Louis. POETRY IN COLOR. The IBM Gallery, New York. ERNST HAAS WORLD OF COLOR, One-man show sponsored by Eastman Kodak. Exhibited on five different continents. ERNST HAAS: COLOR PHOTOGRAPHY. The Museum of Modern Art, New York. ERNST HAAS: COLOR PHOTOGRAPHY. Sponsored by Manchini Newspaper, Japan. 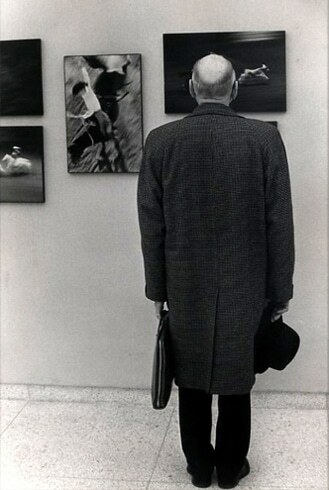 MOMA Exhibition, 1962. Photo T. Mike Fletcher. American Red Cross Headquarters, Vienna. LINES, SPHERES, AND GLYPHS: Fontana, Giacomelli, Haas, Kepes, Siskind. Robert Klein Gallery, Boston. WHO SHOT SPORTS: A PHOTOGRAPHIC HISTORY, 1843 TO THE PRESENT. Brooklyn Museum, New York. FATAL ATTRACTION: PIOTR UKLANSKI SELECTS FROM THE MET COLLECTION. Metropolitan Museum of Art, New York. NEW YORK. Les Douches La Galerie, Paris. MAGNUM PHOTOS: CONTACT SHEETS. Capa Kozpont (Capa Center), Budapest. FLOWERS AND MUSHROOMS. MdM Salzburg, Austria. SUDDENNESS AND CERTAINTY. Robert Miller Gallery, New York. COLOR! AMERICAN PHOTOGRAPHY TRANSFORMED. Amon Carter Museum, Fort Worth, TX. NEW YORK IN COLOR. Howard Greenberg Gallery, New York. HISTORY’S BIG PICTURE. Monroe Gallery, Santa Fe, NM. PHOTOGRAPHS 1950 TO 2110. Picto, 60th anniversary. BEYOND COLOR: COLOR IN AMERICAN PHOTOTGRAPHY. Bruce Silverstein Gallery, New York. MAGNUM’S FIRST: A RE-DISCOVERED PHOTO EXHIBITION. Monroe Gallery, New York. PARIS IN COLOR. D’hôtel De Ville. THE ENCHANTED GARDEN. Auckland Art Gallery. EASY RIDER: ROAD TRIP ACROSS AMERICA. Yancee Richardson Gallery, New York. FIRST CONTACT: A PHOTOGRAPHER’S SKETCHBOOK. Bruce Silvertein Gallery, New York. MARILYN MONROE: LIFE AS A LEGEND. The Dayton Art Institute. CONEY ISLAND. Howard Greenberg Gallery, New York. PLANES, TRAINS AND AUTOMOBILES. Apex Fine Arts. PHOTOGRAPHING MAINE: 1840–2000. Maine Coast Artists, Rockport, Maine. PHOTOGRAPHING AUSTRIA. Leica Gallery, New York. PHOTOGRAPHS OF NEW YORK. Brooke Alexander, New York. Included in the partial recreation of the Family of Man Exhibition. Whitney Museum of Art, New York. ERNST HAAS AND W.EUGENE SMITH. Ann Shanks Gallery, Sheffield, MA. MASTERS IN PHOTOGRAPHY: Alfred Eisenstaedt, Ernst Haas, Andre Kertesz, Eugene Smith, Roman Vishniac. Uma Gallery, New York City. POSTWAR EUROPE, 1945–1965. ART AFTER THE FLOOD. Barcelona, Spain. ACT II: KISSING. G.Ray Hawkins Gallery, Santa Monica, CA. MAGNUM AND THE CINEMA. Paris and London. MAGIC MOMENTS, 40 YEARS OF LEICA PHOTOGRAPHY. USA and Europe. 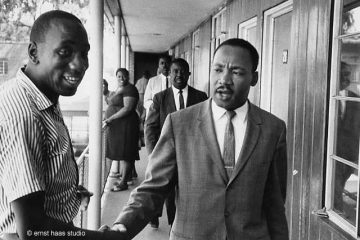 APPEAL TO THIS AGE: THE PHOTOGRAPHY OF THE CIVIL RIGHTS MOVEMENT, 1954–1968. Howard Greenberg Gallery, New York. Martin Luther King, Jr, Birmingham, Alabama, 1963. 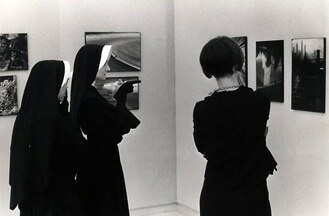 MASTER PHOTOGRAPHS FROM “PHOTOGRAPHY IN THE FINE ARTS” EXHIBITIONS, 1959–1967. International Center of Photography, New York. LE TEMPS D’UN MOUVEMENT: AVENTURES ET MESAVENTURES DE L’INSTANT PHOTOGRAPHIQUE. Palais de Tokyo, Paris. IN SPITE OF EVERYTHING, YES. Hood Museum of Art, Dartmouth College. PHOTOGRAPHS FROM THE MAGNUM ARCHIVES 1932–1967. Pace/McGill Gallery, New York. NEW YORK: THE CITY AND ITS PEOPLE. Workers’ Cultural Palace, Beijing. GESCHICHTE DER FOTOGRAFIE IN STERREICH (The History of Photography in Austria). Museum des 20. Jahrhunderts, Neue Galerie am Landesmuseum Joanneum und Kunstlerhaus, and Neue Galerie der Stadt Linz. COLOR AS FORM: A HISTORY OF COLOR PHOTOGRAPHY. Corcoran Gallery of Art, Washington, DC; International Museum of Photography at George Eastman House, Rochester, New York. International Center of Photography, New York; University of Arizona, Tucson; The Minneapolis Institute of Arts; The Art Galleries, California State University, Long Beach; Delaware Art Museum, Wilmington. FOTOGRAFIA ARTE E USO (Photography, Art, and Usage). Museu de Arte de Sao Paulo. GLANZLICHTER DER PHOTOGRAPHIE: 30 JAHRE PHOTOKINA BILDERSCHAUEN. (Highlights of Photography: 30 Years of Looking at Pictures). Photokina, Cologne. I SING THE BODY ELECTRIC. The Squibb Gallery, Princeton. CELEBRATION: NEW YORK IN COLOR. Fifth Avenue Retailer, New York. PHOTOGRAPHIE ALS KUNST 1879–1979, KUNST ALS PHOTOGRAPHIE 1949–1979. Tiroler Landesmuseum Ferdinandeum; Neue Galerie am Wolfgang Gurlitt Museum; Neue Galerie am Landesmuseum Joanneum; Museum des 20. Jahrhunderts. VENEZIA ’79: LA FOTOGRAFIA. Venice. MIRRORS AND WINDOWS: AMERICAN PHOTOGRAPHY SINCE 1960. The Museum of Modern Art, New York. SICOF ’77. Sezione Culturale, Comune di Milano, Milan. PHOTOKINA: WELTMESSE DER PHOTOGRAPHIE. Kunsthalle Kslnischer Kunstverein Forum, Cologne. REFLECTIONS: IMAGES OF AMERICA. Rathaus, Volkshalle, Vienna. COLOR PHOTOGRAPHY: INVENTORS AND INNOVATORS, 1850–1975. Yale University Art Gallery, New Haven. KREATIVE FOTOGRAFIE AUS STERREICH. Kulturhaus der Stadt Graz im Steirischen Herbst ’74, Museum des 20. Jahrhunderts, Vienna. THE CONCERNED PHOTOGRAPHER 2. The Israel Museum, Jerusalem. WELTAUSTELLUNG DER PHOTOGRAPHIE: UNTERWEGS ZUM PARADIES (Third World Exhibition of Photography: The Path to Paradise). Hamburg, 3. PHOTOGRAPHY INTO ART: AN INTERNATIONAL EXHIBITION OF PHOTOGRAPHY. Camden Arts Center, London. PHOTOGRAPHY IN THE 20TH CENTURY. The National Gallery of Canada, Ottawa. AMERICAN PHOTOGRAPHY: THE SIXTIES. Lincoln, Sheldon Memorial Art Gallery, University of Nebraska. IPEX. Gallery of Modern Art, New York. WELTAUSSTELLUNG DER PHOTOGRAPHIE (World Exhibition of Photography). Kunsthallen und Kulturinstituten, Hamburg. THE PHOTO ESSAY. The Museum of Modern Art, New York. THE WORLD AS SEEN BY MAGNUM PHOTOGRAPHERS. 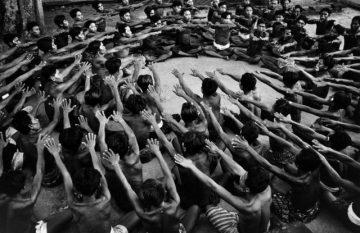 Organized by Magnum Photos with the cooperation of the Mainichi Newspapers of Japan and circulated throughout the world. 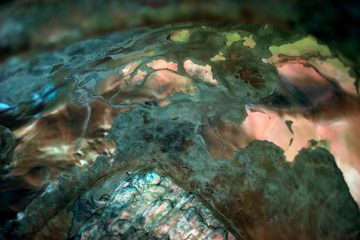 THE SENSE OF ABSTRACTION IN CONTEMPORARY PHOTOGRAPHY. The Metropolitan Museum of Art, New York. PHOTOGRAPHY IN THE FINE ARTS. The Metropolitan Museum of Art, New York. PHOTOGRAPHY AT MID-CENTURY. George Eastman House, Rochester. SEVENTY PHOTOGRAPHERS LOOK AT NEW YORK. The Museum of Modern Art, New York. 1955 BIENNALE DE LA PHOTO ET DU CINEMA DE PARIS. Grand Palais, Paris.